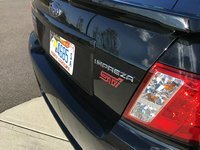 Start a new Subaru Impreza WRX STI question. 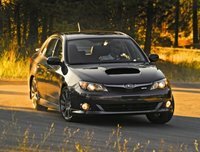 Replacing 2006 sti 6MT center differentials, wondering if an 2004-2005 6MT sti center diff will work for an 06? I have a Japanese market Subaru STI (1994) I'd like to sell but the drop down menus don't accommodate the year or the engine displacement. How should I do this? I am about to buy a car that has lein on it. if i pay him today through car gurus, how long will it take for me to get the title for the vehicle? Subaru began developing rally cars in the late 1980s in its Subaru Tecnica International division. 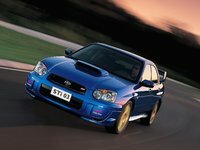 The acronym, STi, would later be applied to its WRC race-winning performance car that became a star of many Japanese video games and anime films. This same division was later in charge of transferring the STi's rally performance into a consumer production model in 1992 in Japan, and later elsewhere, except for the U.S. 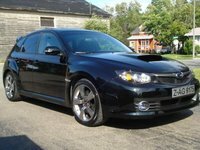 The Impreza WRX STi was finally introduced in the U.S. in 2004 as a sedan only. 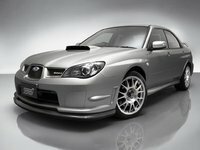 Based on the WRX platform, but tuned for racing capability, it looked the part, with a huge head scoop, a visibility-impairing, but performance-enhancing dual-plane spoiler, and a roof vane spoiler. Underneath, it featured a turbo 2.5-liter flat-4 tuned to 300-hp, boasting 0-60 in under five seconds. Such features as a manually operated intercooler water spray, Brembo brakes, and a Driver Control Center Differential, reminded drivers they were in a race car. The DCCD allowed drivers to either automatically or manual distribute torque power to the all-wheel drive system. For the production STi, the interior did not skimp on comfort and convenience. 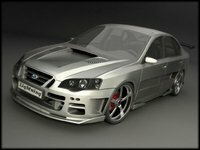 Though it acts like a race car, the STi is a four-door sedan, with leather trim and power features. Some conveniences, like power seats, were left out so as not to weigh down the car too much and hamper its track performance. In 2004, it was voted Best Car by Road and Track. 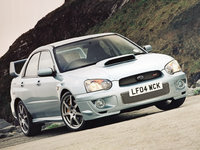 In 2007, the new WRX STi Limited was toned down a bit in appearance, after some complaints about its garishness. The rear spoiler was reduced and the vane spoiler removed. The chin spoiler was also more integrated into the overall design. But the engine and drivetrain remained the same, and there's no question that the STi is a road rocket. Yet its upgraded suspension and interior luxury made it a fairly comfortable and nimble city commuter as well.